This large cruise ship is one of many seagoing vessels ships in Southeastern Alaska that rely on NOAA-produced nautical charts for safe navigation. 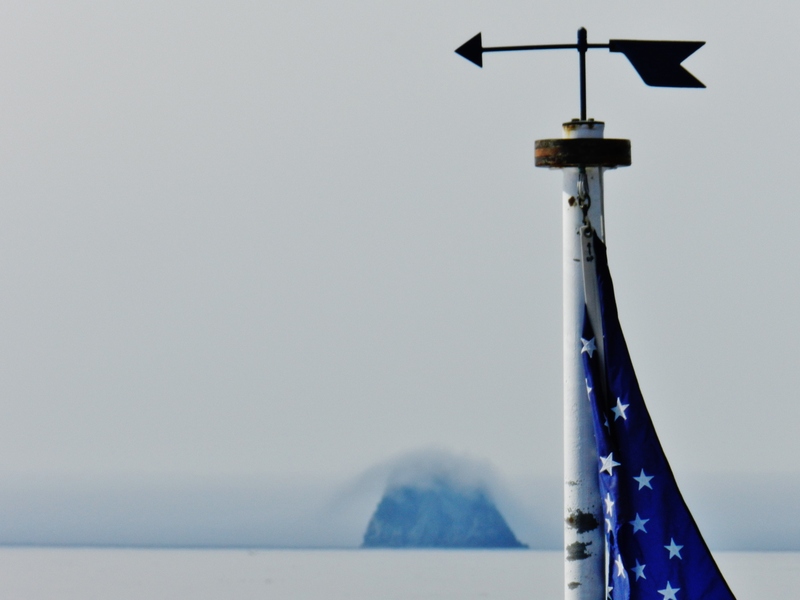 Thick fog had settled on Chatham Strait, where the launches would be surveying for the day, as seen from the ship’s anchored location in Bay of Pillars. When we think about explorers, we usually focus on the “big moments” – the crescendos of excitement that build as the storytellers regale us with tales of daring escapes from danger, amazing sights visible only from the summit, or exotic flavors tasted upon the foreign shore. But life-long explorers know that those moments are far outnumbered by the sometimes seemingly endless minutes or hours, days or weeks, maybe even months or years of simply walking the path, step after step after step, watching the slow passing of tree after tree after tree. Those less thrilling hours rarely are described in the grand adventure stories, but in those countless footfalls lie many of the greatest parts of exploration, for it is only in those moments that the explorer has time to ponder. 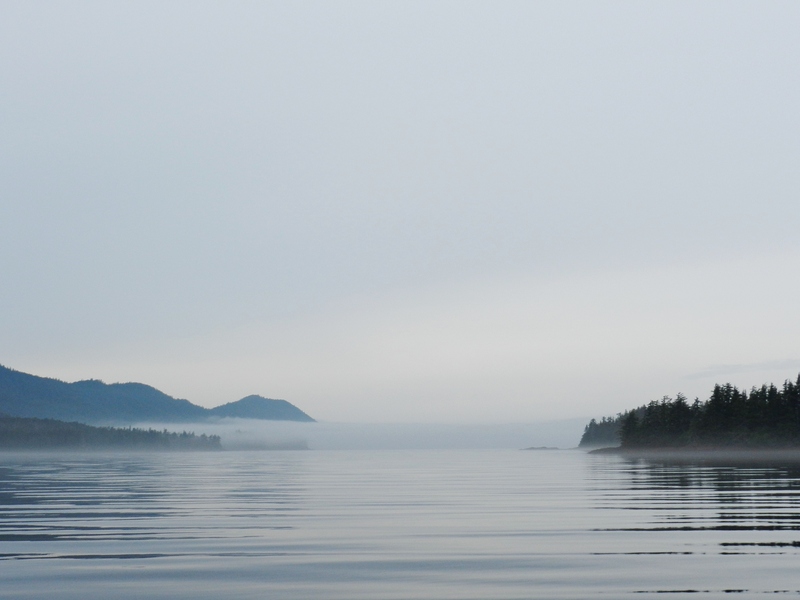 Smooth water and thick fog are common conditions in the navigable waterways of Southeast Alaska, underscoring the importance of good nautical charts. In 1905 a very bright young man in his mid-twenties worked for a few years as a clerk in the patent office in Bern, Switzerland. Although the post gave him access to interesting new inventions and processes being developed in electronics, thermodynamics, mechanics, and communications, his job often required him to grind through the daily routine of receiving, reviewing, and filing thousands upon thousands of technical and administrative documents, tasks which his brilliant mind could achieve without much effort. Not too exciting, perhaps. But it is only in that easy comfort of performing the same routine behaviors minute after minute that the young clerk found the quiet sanctuary to evaluate and synthesize a miasma of strange ideas and eventually synthesize them into five papers about matter, time, energy, space, and motion that would revolutionize the field of physics. Indeed, not every person is Albert Einstein, but all explorers sometimes find themselves in that “cruise control” mode, where the body knows the routine mechanics to perform, and so the mind can invest in a different sort of exploration. Inward. Small cruise ships can navigate deep into scenic waterways, like Bay of Pillars along Chatham Strait. 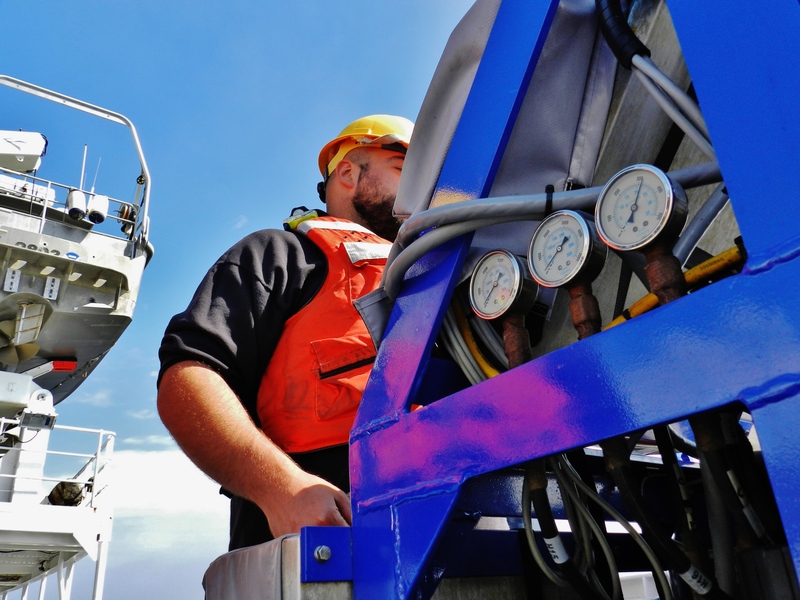 Teacher At Sea Rob Ulmer uses the winch aboard launch vessel RA-6 to cast the CTD device, which gathers data about conductivity, temperature, and depth of the water in the column from the surface to the sea floor. A gardener mowing back and forth across the lawn, a painter applying the brush line after overlapping line to cover the wall, and a swimmer pulling stroke after stroke to swim his half-mile of warm-up laps all gain skill with their craft over hours or miles or practice, and so their minds can be freed to wander a bit, perhaps contemplating more deeply the patterns in the passing clouds, maybe solving a puzzle that has been teasing at the edge of consciousness, or maybe considering how a hedge of heather might look if planted in a certain area of the landscape. Or – just as meaningfully – maybe the explorer in those moments revisits something far more personal or spiritual or metaphysical, some conundrum or quandary or dilemma, whether recent or from long ago, in a way that is available only because of the serenity of the repetition. Sometimes such musings simply aren’t accessible when the mind is occupied with more accelerated or more cumbersome activity. 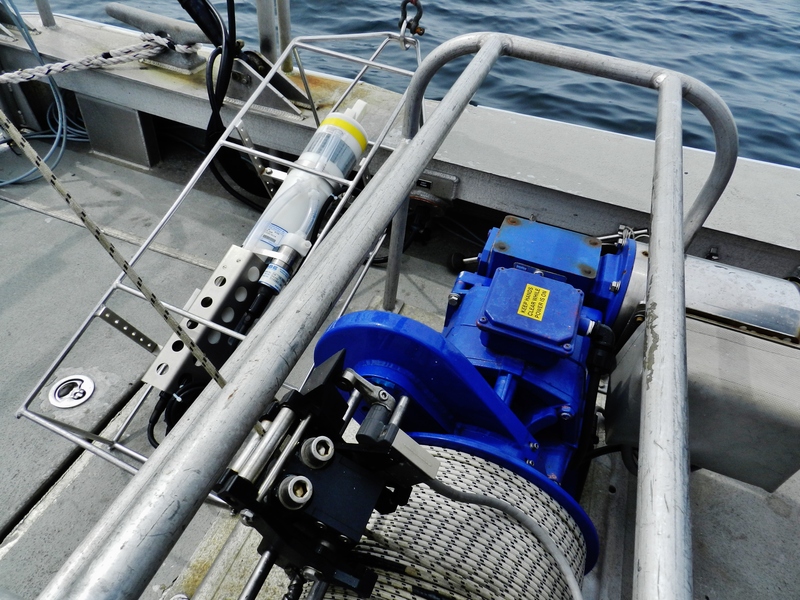 This winch mechanism can lower the CTD device (the tube to the left) through many fathoms of water. And as the explorer’s mastery of basic skills evolves from novice toward more expert levels, his place on the learning curve changes, as well. The learning curve where the novice stands is steep, as every bit of investment offers the possibility of relatively fast and tremendous growth, while the marginal returns for the wise and skilled explorer of the craft come subtly from patient observation and insight. For the rookie woodworker, for example, every spin of the lathe is an iteration of powerful change to be controlled and investigated and marveled at, but the more advanced craftsman who has milled thousands of dowels in his journey toward expertise in his craft has room during the lathe-work to possibly discover some small nuance about cutting bevels or reading grains that would be lost even if offered to the rookie in his excited novitiate mindset. 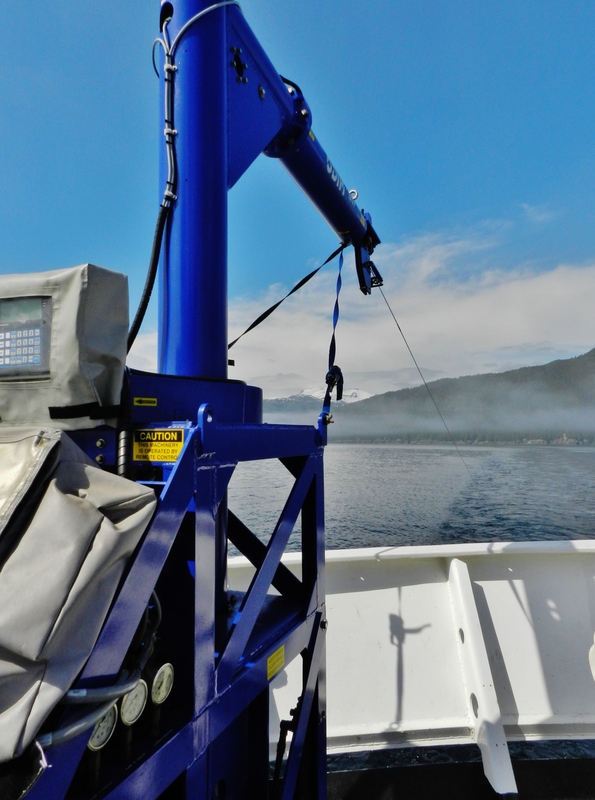 AB Tony Nielsen operates the Moving Vessel Profile (MVP) to cast and recover the “fish” as Rainier conducts a multi-beam survey of the sea floor in Chatham Strait. Some of my own moments of greatest inspiration have arrived when my friend Rien and I have been wordlessly walking the autumnally brisk trails of the North Georgia mountains. No longer burdened with the previously-taxing questions of how to deal with unstable rocks at my feet or what gait to use on a certain downhill slope, in those miles of simply continuing to walk forward my cleared mind has unfolded complete verses of poetry, bits of insight about soccer or macroeconomics or how to differently arrange the gear in my backpack, even exact phrasings for whole lessons or assessments to be used in my classroom. Those thoughts simply couldn’t have reached such clarity in the exciting exhaustion of the first morning’s climb up Amicalola Falls. Yesterday morning, after Field Operations Officer Mike Gonsalves finished the usual pre-launch meeting on the fantail and dismissed the crews to their boats (with my shift remaining aboard the ship to learn some data processing skills), I began one of my most common activities aboard Rainier, taking photographs of the scene. Pictures of the FOO and the Chief Boatswain coordinating launch activities, pictures of the rest of the crew at work, pictures of the ship herself, pictures of the waters and land features surrounding the ship… all very routine. This is the view forward across the bow of NOAA Ship Rainier as a launch vessel departs to survey the sea floor of Chatham Strait. Isn’t it difficult to not see the fog above the rock island now that you’re looking for it? But then it happened. I noticed in the distance beyond the bow of the ship a slight something. Something different than usual. 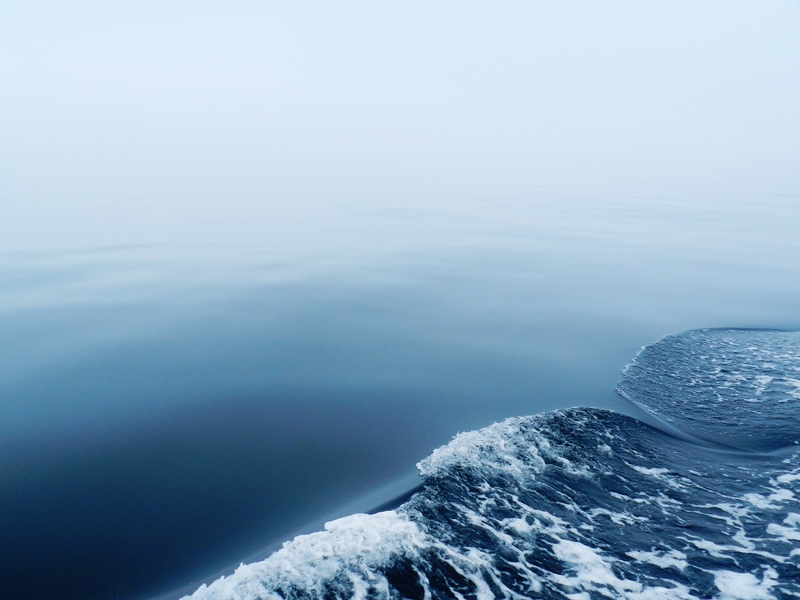 A small hemispherical island – a rock, really – extending ten feet or so above the waterline, protruding through the fog that hovered ethereally a few feet above the water in every direction. But it was the fog that caught my eye. The fog didn’t just surround the rock; it blanketed the rock at not quite exactly the same elevation that it otherwise maintained above the nearby sheet of flat, still water. And in the quiet comfort of my rote and repeated clicking of the shutter, I had an epiphany, a sudden symphonic upwelling of clarity about pressure and temperature and fluid dynamics and light that simply could not have happened if my thoughts had been cluttered with hasty necessities of rapid activity. 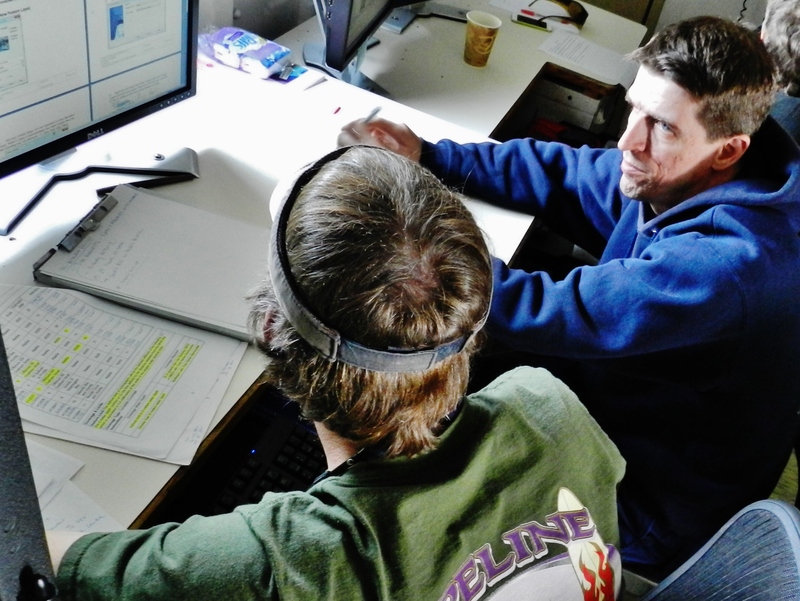 FOO Mike Gonsalves and HAST Curran discuss survey data in the plot room. Like most insights, I’m not sure if or when that particular bit of understanding will ever matter again in my future, but at the moment it was pure and good in its value to the core of my inner explorer: I saw something that I had not seen before. 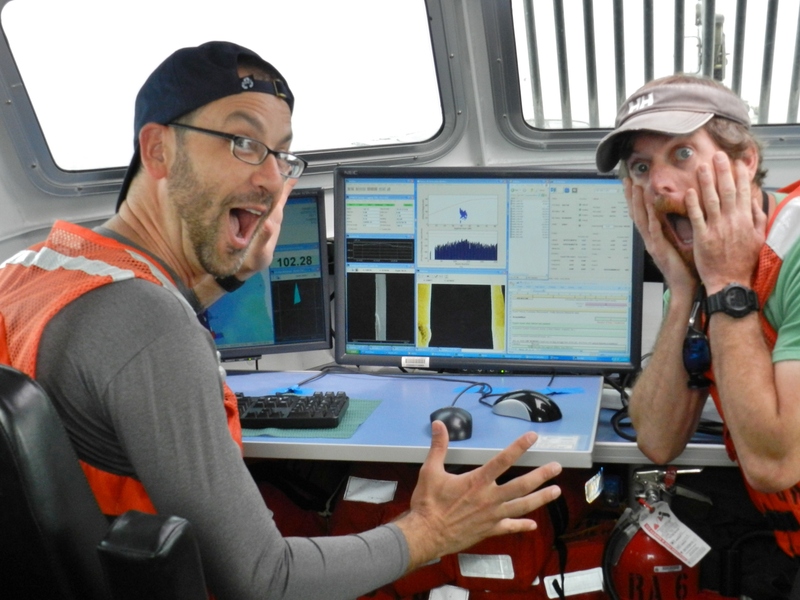 Some very exciting information during multi-beam surveying aboard the launch vessel surprises TAS Rob Ulmer and HAST Curran. 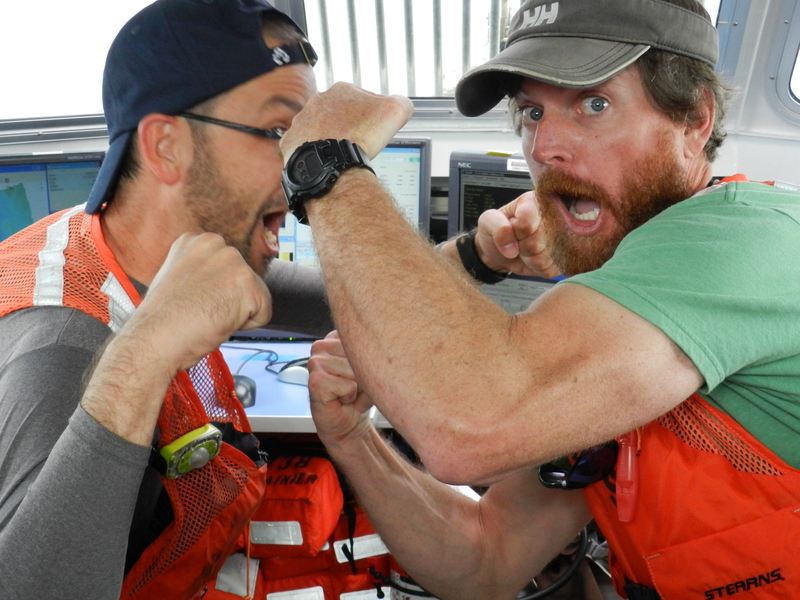 A whole day of surveying aboard the launch vessel can become a long venture in close quarters! 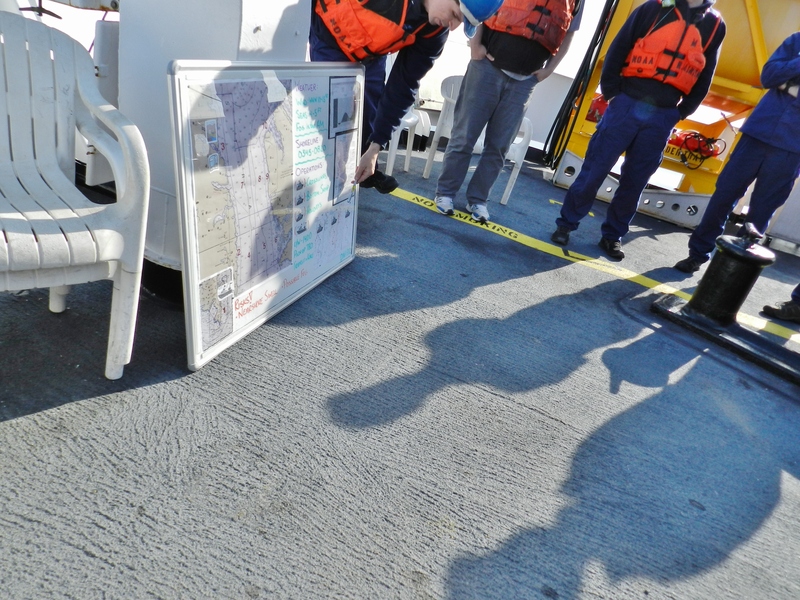 So where does this soliloquy about walking the long and quiet path fit with my experiences aboard NOAA Ship Rainier? For the past several days and for the next several coming days, two or three small, crewed launch vessels per day (and often the ship herself) are painting overlapping swaths of sonar across the sea floor in Chatham Strait. Back, forth, back, forth…. Imagine mowing an enormous lawn miles long at a slow walking pace with a lawnmower that needs constant adjustment and calibration every time you pass a tree or shrub, all the while keeping data about the thickness of the grass, the color of the soil beneath, the amount of dew on the blades, and the exact rotational velocity of the motor. And this lawn is not just enormous by usual standards, either. It’s miles long, miles wide. Rain, snow, wind, uneven ground, you just keep mowing. And when you get finished for the day, not only do you know that you have dozens of days left before you finish mowing this lawn as it continues over the horizon, but you also discover as you look back out with your special viewing machinery at home that there are a few spots that you missed on the first pass and must clean up tomorrow before you can move forward, maybe because the mower blade malfunctioned, or maybe because the ground underneath was slightly tilted as you passed above it. But you keep mowing, both because you want the job done, but also because you love the work and take great pride in your work product. The boys finally reach a resolution in their debate about survey data. Replace it with painting a giant wall, and the analogy to multi-beam sea floor hydrographic surveying still is nearly perfect. Oh, and don’t forget that you have a partner at home who will spend hours analyzing every bag of grass clippings, sorting and organizing and then weaving every single blade of grass into a beautiful and varied quilt of fabric that she makes from the piece that you bring her after painstakingly separating out random bugs and sticks leaves from trees and shrubs that look like grass but aren’t…. Whew! This partner (following the analogy) is a member of the post-launch evening processing crew, by the way, who begins work as soon as the launch vessels return and doesn’t finish until hundreds of lines of data have been uploaded, converted into other numerical and graphical forms, and then “cleaned” for initial post-survey analysis aboard ship before being more thoroughly analyzed for months or years at NOAA shore-side labs and offices before ultimately evolving into published nautical charts or other useful end-products. Launch vessel RA-4 “paints” the huge floor of Chatham Strait one slow swath at a time. 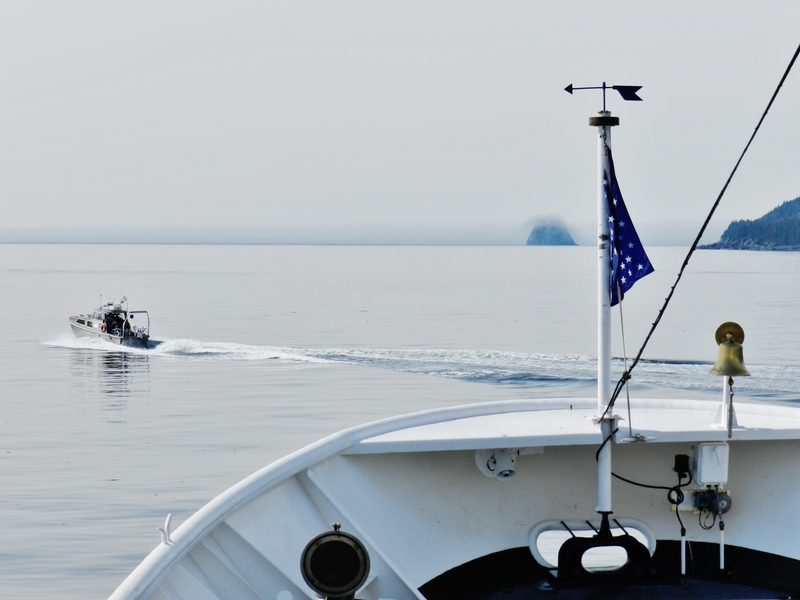 Aboard launch vessel RA-6, we passed this fishing boat several times while surveying a “polygon” of Chatham Strait. 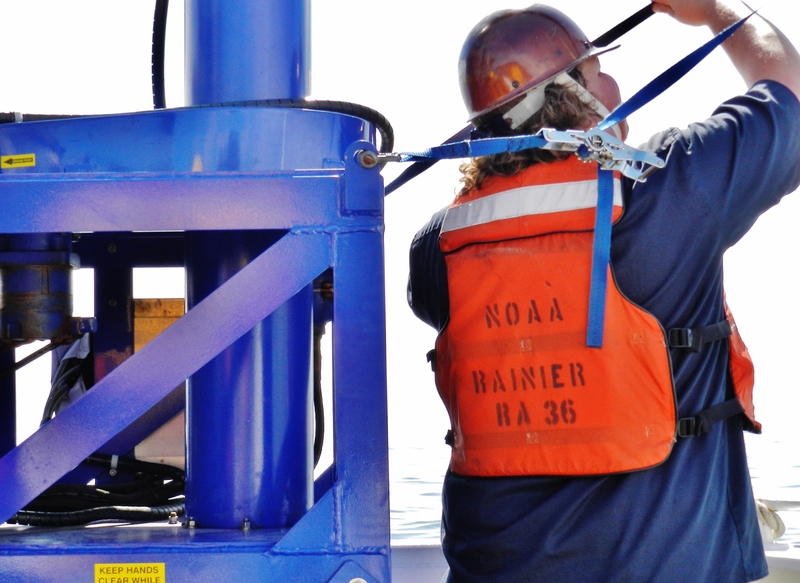 Day after day, mile after mile, the NOAA survey teams explore the seas, quietly walking their own trail so that other explorers can more safely navigate their treks, as well. 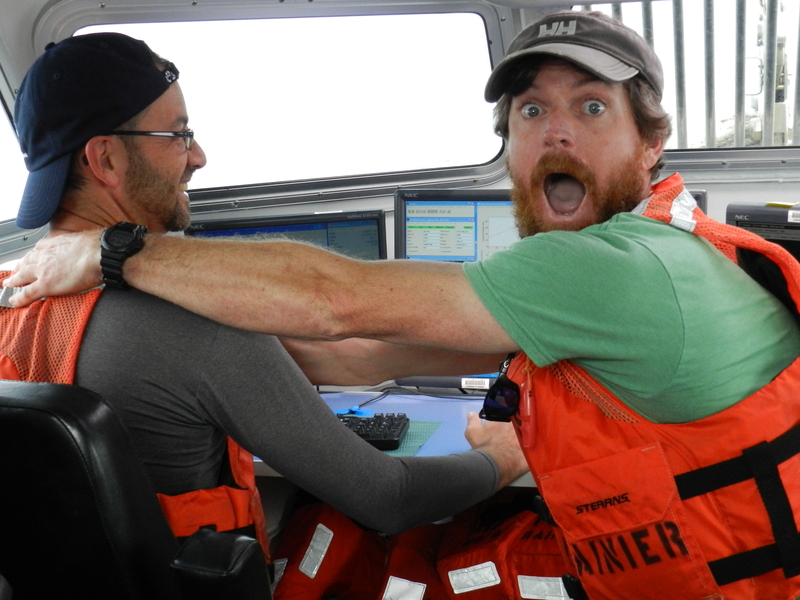 And every once in an inspired while, the hydrographer can be heard uttering a gleeful, “Aha!” about some insight discovered along the way. Keep walking, my friends, even when the trail is long. Sometimes it is there that you will do your best exploring. Another pass of the same fishing boat. A long day for both crews, perhaps, but at least the magnificent scenery leaves plenty of room for pondering. 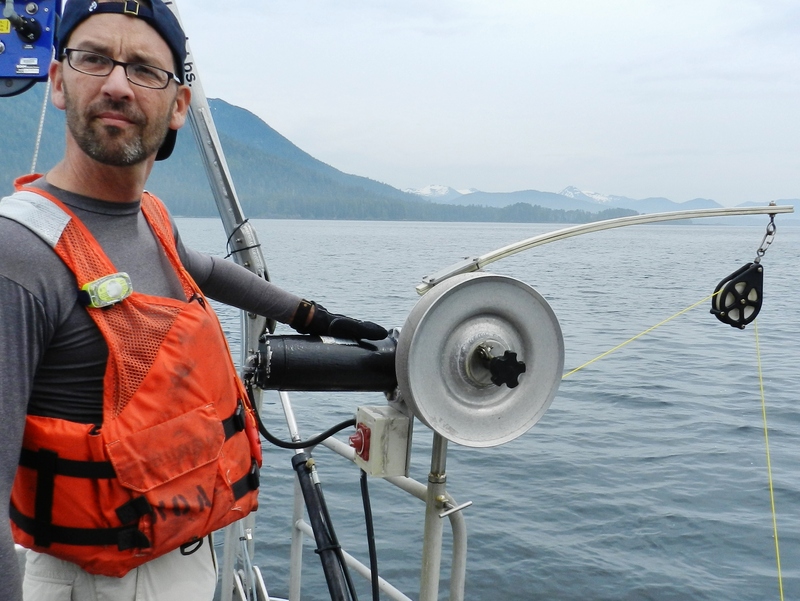 This entry was posted in 2013, NOAA Teacher at Sea, Robert Ulmer and tagged Chatham Strait, Exploration, Hydrographic survey, insight, inspiration, noaa ship rainier, pondering, southeast alaska. Bookmark the permalink. What a beautiful, reflective piece! 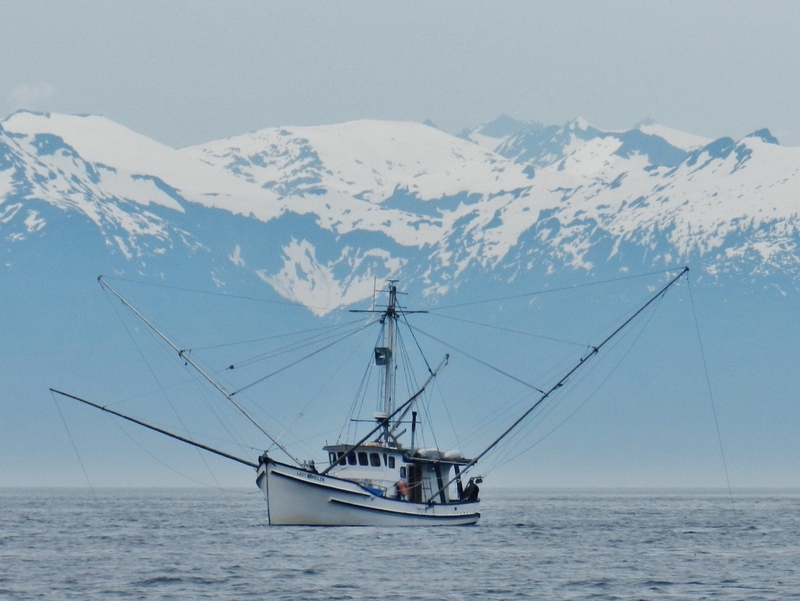 I was drawn to the picture of the “smooth water and thick fog,” as well as the pictures of the fishing boat against the backdrop of the mountains. I feel like I’m able to join parts of your journey through your words and photographs. 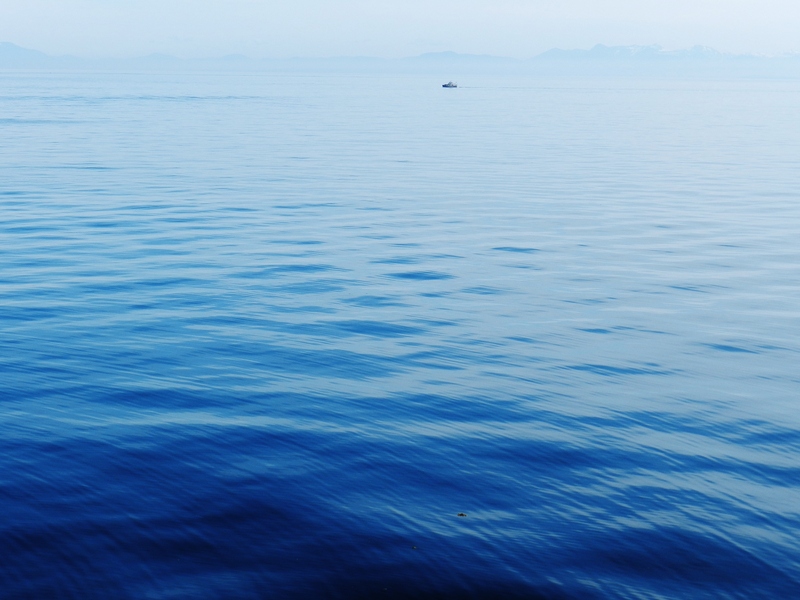 The water is so beautiful, but none of my pictures even begin to capture the richness of the various deep blues. The colors and textures are surreal. I understand Crayola’s sea foam green on such a different level now than before this journey. And as much as I love film, Hollywood has nothing on nature when it comes to scenery. Truly a great adventure that you are on. I love the way you describe the things you see and all the stories you intertwine into your blog. We definitely need to get together when you get back and hear some more of everything you did, I know you can’t put everything into your blog. Thanks for sharing. Thanks, Bill. You know that I like hearing your stories, too. I guess that’s part of what makes us friends! Thanks for keeping us updated with stories and pictures. You are definitely not in Gainesville anymore! Looking forward to your return, and more stories and pictures. Oh, Bob, you know that you’ve always been one of my favorite conspirators co-adventurers, and I’m so happy to count you among my readers. I’ll see you in a couple of weeks, my friend. Yes, Thoreau had that part right, I think. But a big part of my having reached that place is that I’ve just had some pretty good role models along the way. Thanks for the kind words.